Vernon Earl “Earl the Pearl” Monroe, a retired National Basketball Association (NBA) player, was born in Philadelphia, Pennsylvania in 1944. During his NBA career Monroe was an All-Star guard for the Baltimore Bullets and New York Knicks. Monroe was a student at Philadelphia’s Bertram High School from 1959 to 1963. As a young basketball player, Monroe honed his skills by playing in the Baker League, a South Philadelphia playground league. Although Monroe enjoyed a stellar reputation on the South Philadelphia playgrounds, he did not garner the attention of collegiate programs. After graduating from Bertram High, Monroe attended a college preparatory school affiliated with Temple University. Shortly thereafter he began working as a shipping clerk in a paper-plate factory. However, Monroe stayed active in basketball, playing at Leon Whitley’s recreation center in Philadelphia. While there, he caught the eye of Whitley, a former point guard on the Winston Salem Teacher College (WSTC) 1953 Central Intercollegiate Athletic Association (CIAA) championship team. Whitley encouraged Monroe to attend WSTC, now known as Winston Salem State University (WSSU), and play for Hall of Fame coach Clarence “Big House” Gaines. Monroe attended WSSU from 1963 to 1967 and flourished as an All-American guard. During the 1966-1967 season, Luix Overbea, the black sportswriter for the Winston-Salem Journal, began to call Monroe’s points “Earl’s pearls.” Soon, fans began to chant “Earl, the Super Pearl,” during WSSU home games. In 1967 Monroe led the WSSU team to the National Collegiate Athletic Association (NCAA) College Division championship. It was the first time that a CIAA school won the College Division championship and he was named the tournament’s Most Outstanding Player. Monroe finished his collegiate career with 2,935 points. He also graduated from WSSU and passed the national teaching exam. The Baltimore Bullets, now the Washington Wizards, drafted Monroe in 1967. He was the NBA Rookie of the Year in 1968. During his rookie year, Monroe scored 56 points against the Los Angeles Lakers. It was the third highest rookie total in NBA history. During his four years with the Bullets, Monroe averaged more than 20 points per game each season. The Bullets traded Monroe to the New York Knicks in 1971. He and Walt “Clyde” Frazier formed a formidable backcourt for the Knicks and they led their team to the 1973 NBA championship. 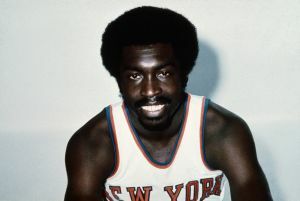 Monroe spent nine seasons with the Knicks and retired following the 1979-1980 season. He scored 17,454 points during his stellar NBA career. In 1986, the Knicks retired Monroe’s number 15. He was enshrined in the NBA Hall of Fame in 1990. In addition, Monroe was named to the NBA 50th Anniversary Team in 1996. Following his retirement from the NBA, Monroe formed Reverse Spin Entertainment, a multimedia company, for sports, music and film. He also works as a health advocate for Emblem Health and Merck. Michael Benson, Everything You Wanted to Know About the New York Knicks (Lanham: Taylor Trade Publishing, 2007); Joe Brescia, “Q&A With Earl Monroe,” New York Times Website (January 9, 2011),available at: http://offthedribble.blogs.nytimes.com/2011/01/09/qa-with-earl-monroe/?emc=eta1; Clarence E. Gaines with Clint Johnson, They Call Me Big House (Winston Salem: John F. Blair, Publisher, 2004).